I've been traveling almost every week this month. Last weekend I was in Toronto, Canada. Taking a light week after American's and in preparation for all the food damage to come, we dropped in at CrossFit Metric for a workout. So you might be wondering, what is Kaddo Bourani? At a high level, it's an Afghan dish of caramelized pumpkin topped with two sauces: a mint-garlic yogurt sauce and a savory meat sauce. I like this dish because it's bursting with flavor. The dish incorporates very contrasting flavors while maintaining balance. Each of the three components of the dish can be too much on it's own: the pumpkin perhaps too sweet and the yogurt, too sour, tangy, and cold. However when all combined together: cool, sweet, tangy, savory, minty, the results are quite amazing! 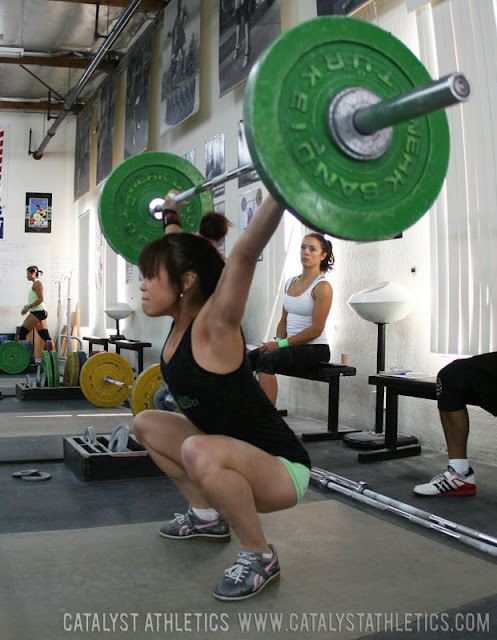 2013 USA Weightlifting American Open Championships! Last Saturday I competed in the 2013 USA Weightlifting American Open Championships in Dallas, Texas. 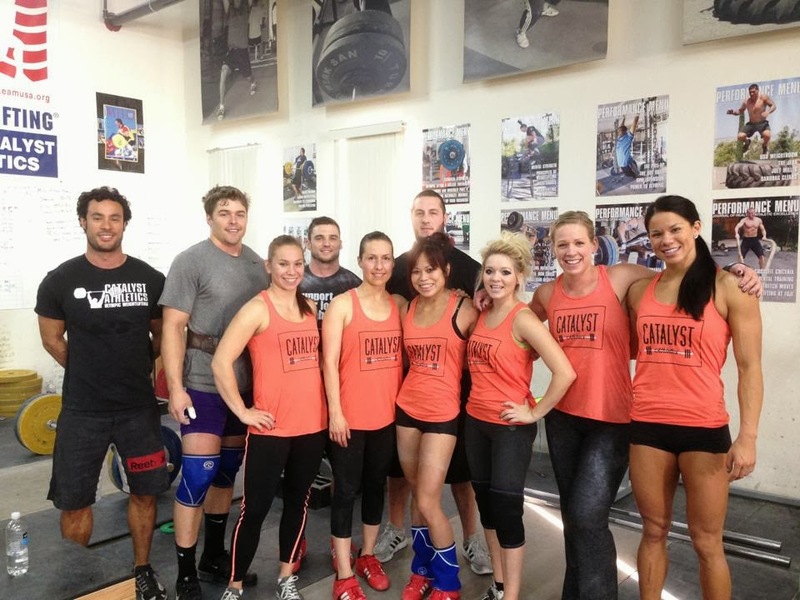 I competed in the 48kg A session and as a part of the Catalyst Athletics women's team! My first time at Americans! I am on a plane to Dallas now to compete in the 2013 USA Weightlifting American Open Championships! Excited/nervous/anxious. I remember when we started our 12-week AO cycle and I can't believe it's showtime already! This will be my first time at the American Open. I will be lifting as part of the Catalyst Athletics Weightlifting Team. Hoping to medal as a team this year! We took Thanksgiving this year up a notch from last year by not only doubling the different dishes we made, but also in guests. We still made everything from scratch and kept it gluten free for the most part. But unlike last year, we developed an entire menu not just for dinner, but basically all day... including a wine and cocktail menu, of course. While in Chicago for work, I decided to check out River North CrossFit, the closest CrossFit gym to my hotel and one of the few CrossFit gyms actually located in downtown Chicago. I went up to Petaluma last weekend to watch my friends compete in the Redwood Empire Weightlifting Championships. 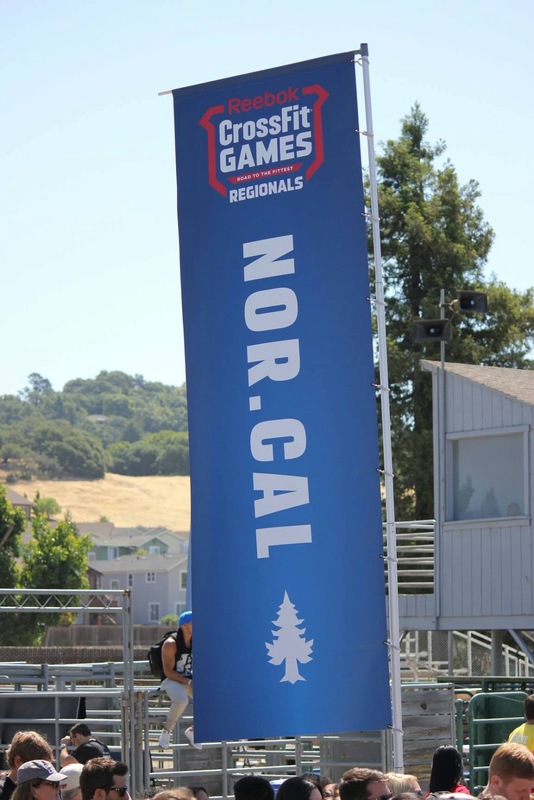 I competed at this meet last year, but decided not to this year since I just came from Nationals. Therefore, I dropped in for a workout before the meet at Genesis Fitness / CrossFit West Petaluma. What a sweet group of people! Last week I was in the city for a customer onsite. Before heading back to the South Bay, I decided to stop by LaLanne Fitness, which was the closest CrossFit gym to where I was at. I've been meaning to stop here a few times in the past, but plans fell through. However, I do remember what was common across all visit attempts: they were all deadlift days! I decided to sign up for the CrossFit Games Open again this year. The Open is the first step in the journey to the CrossFit Games. The purpose of the Open is to make it accessible and so that everyone can participate and push themselves. Therefore, you won't see anything super heavy or complex until the end of the workout, if at all. A few weeks ago I got my first kipping bar muscle up! While ring muscle ups may be one of my strengths, a kipping bar muscle up couldn't be harder for me to grasp. In fact, I think it was the hardest CrossFit movement for me to learn, to date. This was a year-long working progress and I'm glad I took the time to learn the safe, and efficient way to do these. Also, as an added bonus, I no longer chicken wing my strict bar muscle ups. 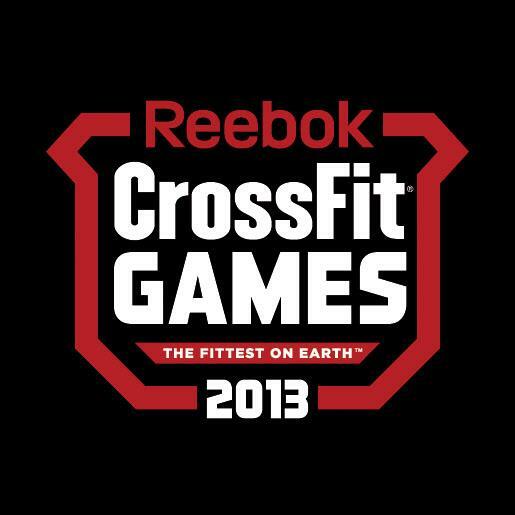 CrossFit Games Open WOD13.2 at Arena Ready! 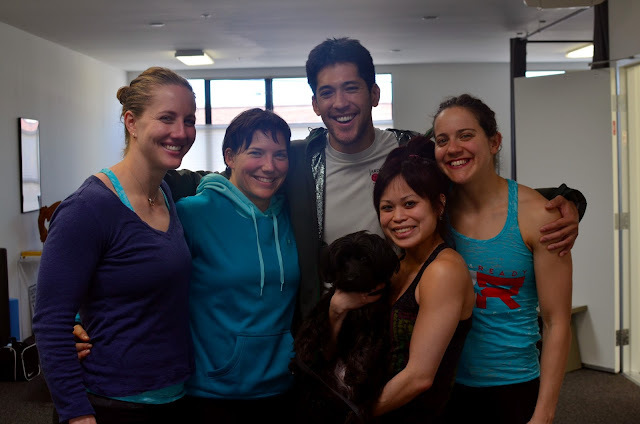 Last weekend we decided to head up to the city to do 13.2 with Liz and Hillary at Arena Ready CrossFit. We miss these two and a visit was long overdue! Mmmm pesto. A versatile sauce, pretty much delicious on anything. Instead of using the typical pine nuts or walnuts base, I decided to use toasted almonds instead.. just for kicks. So while in the city, I really wanted to stop by the flag ship and super popular: Reebok CrossFit 5th Ave. If we ignored the Reebok label for a second, there were still many other reasons to visit this box: prime location, largest box in Manhattan (not to mention, on the ground floor), and from the photos online.. it looks super sweet (the pull up bars looked glow-in-the-dark, lol). And if you weren't sold on all that, they even have the concept of an "express WOD": same workout but in half the time. This is especially great for travelers or those who live the busy city lifestyle. That being said, I was extremely disappointed.